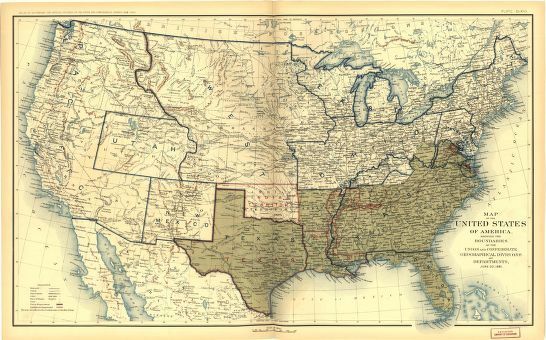 Tensions between whites and freedmen grow all the more in many towns and cities throughout the former Confederacy. In Atlanta this month black members of the white-led First Baptist Church yet use the white First Baptist Church facilities for their now-autonomous worship services. Once wanted in the church in order that white members might deploy God to help uphold the institution of black slavery, as free individuals blacks are of little use to white church members. Within a year black members formally leave the First Baptist Church and form their own congregation. Meanwhile in Virginia, many whites are determined to constrain the activities of freedmen. Of particular concern to whites is that some blacks are now “bearing arms.” Concerned that their former slaves are now armed, and convinced that they are up to no good, the Norfolk County Court complains to the Freedmen’s Bureau, petitioning the Bureau to prohibit freedmen from possessing firearms.